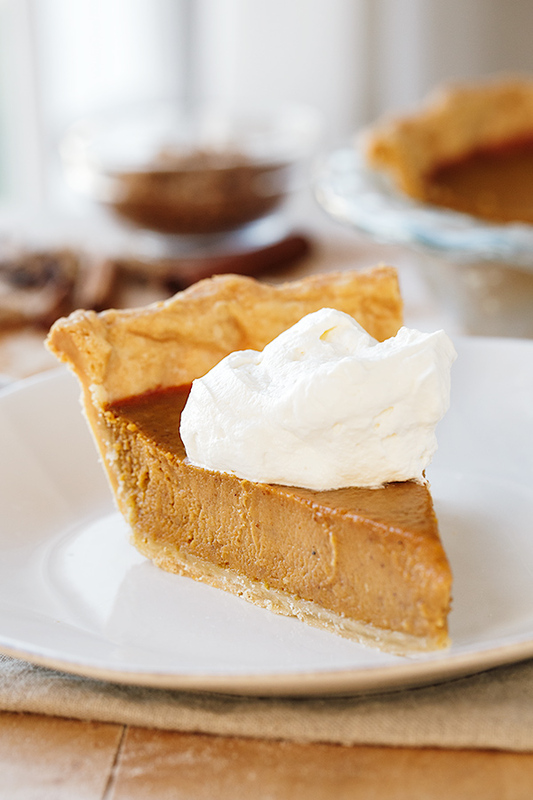 Nothing beats the rich, creamy texture and the spicy flavor of a pumpkin pie, prepared from scratch, with a flaky homemade crust—it’s what the holidays are all about! It seems like it was just yesterday that my son and I were in the kitchen together, elbow deep in pumpkins, seeds strewn, making a pumpkin pie from scratch, at his request. But in reality, it was over 6 years ago already, when he was around 15 years old, and not the manly 21 year old Marine that he is now. I remember him telling me that rather than purchasing an already prepared pumpkin pie from the store, he longed for us to make our very own homemade pumpkin pie using some sugar pumpkins we had. 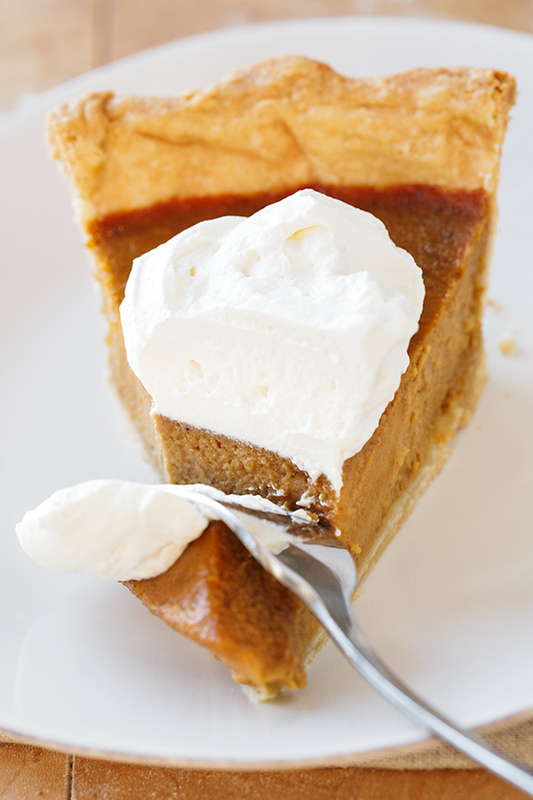 He wanted the experience of making a pumpkin pie completely from scratch, from start to finish, to see what the process was for making one his ultimate favorite desserts. And so we did, and what a blast we had! I can’t tell you how thrilled and excited I was to have him want to get into the kitchen with me to do some baking like that; because as anyone with teens that age (not to mention sons) knows, it’s a very rare thing. It was a heck-of-a-lot of work, scraping the seeds out of sugar pumpkins, roasting them until tender, then pureeing the flesh. We also made our pie dough from scratch and blind-baked the shell, then filled it with our perfectly spiced and silky-smooth filling. And then, we eagerly waited for the pie to bake and then cool before enjoying bite after bite. It was a long process, but well worth the effort. And though it was tedious work, it was also sweet, glorious, love-filled work, the most rewarding sort of work that I could ever ask for. It was a precious moment in life, one of those cozy holiday moments that when I think back upon, it warms me to my center and fills me with gratitude. Now, I won’t “sugar coat” (pun intended 😉) the fact that it takes a bit of elbow grease to prepare a homemade pumpkin pie, but I can tell you that the difference between a from-scratch pie versus a store-bought pie is worlds apart, and it’s a real treat to experience that difference, at least once! And even though I mentioned making our pumpkin pie using sugar pumpkins (that we actually roasted and pureed), the good news is that this is not at all necessary! Good quality canned pumpkin is the perfect thing to use in a pumpkin pie recipe, not to mention a much quicker (and cleaner!) option, and that is what I use for my recipe here. Also, you can divvy things up and do a little prep ahead. For instance, you can make and blind bake the pie crust the day before you plan on preparing the actual pumpkin pie, then fill and bake it the next day. And if you’re really looking to cut back on prep, you could buy prepared pie crusts and use those. Just prepare the filling from scratch and proceed with the recipe. When I’m ready to bake my pie, I move my oven rack to the lower third of the oven, whisk together my filling ingredients, and pour the custard into my prepared crust. I bake the pie for roughly an hour (55-65 minutes), until set along the edges yet still a bit wobbly in the center. When done, I allow the pumpkin pie to cool completely at room temp (5-6 hours) before placing into the fridge to fully chill. To serve, I top with fresh whipped cream! Good quality canned pumpkin: When preparing your filling, be sure to use good quality pure pumpkin in this recipe. Do not use “pumpkin pie filling”, as this has other ingredients already added to it. Prep and blind-bake the crust ahead: I find it easier to follow the recipe when I divvy things up a little. I prep, chill, and blind-bake the pie crust the day before baking the actual pie, as this saves a lot of time the day of. 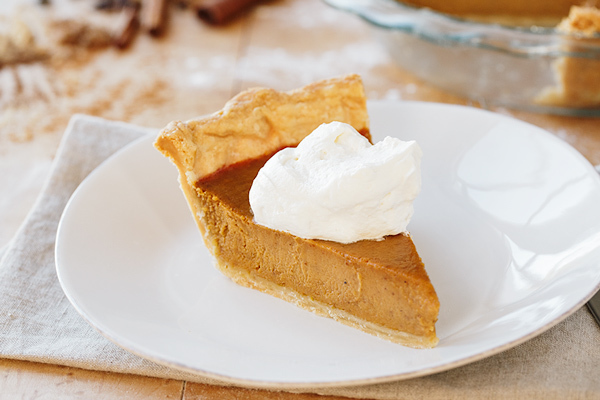 Fresh spices: Make sure you’re using fresh jars of pumpkin pie spice for this fragrant pie—expired spices aren’t good eats! Reach for the cream: I have found cream to be the best liquid to use in this recipe. Half & half works too, but the cream has less water and makes the baked filling quite velvety, very smooth and creamy, which is what makes pumpkin pie so delicious. Don’t whisk the filling too aggressively: Because you’re not looking to incorporate extra air into the filling, take care not to whisk the filling ingredients too aggressively. This may cause your filling to “souffle” up too much during the baking and cause cracks. This rich pumpkin pie prepared from scratch with pure pumpkin and fragrant spices beats store-bought in taste and texture every time! -Begin by preparing your crust: into the bowl of a food processor add 3/4 cup of the flour along with the salt, and pulse to combine; add in the cold butter pieces along with the shortening, and pulse or process until a crumbly dough comes together. -Sprinkle in the remainder of the flour, and process for a several moments to incorporate that flour in. -Dump the flour/butter/shortening mixture into a bowl; in small increments, drizzle in the vodka/water mixture, and using a rubber spatula, fold the vodka/water into the dough, pressing it down until it is slightly tacky and moist, and comes together. -Roll out your chilled dough disc on a lightly floured work surface, until it is quite thin and slightly larger than your pie dish (I use a 9.5” glass pie dish, and place it into the freezer to keep it chilled). -Place the dough into the pie dish, and cut off any long overhangs, leaving just enough so that you create a rustic-style crimp by pinching around the dough with your thumb and forefingers; place into the freezer to chill and firm while you preheat the oven 350°. -To blind-bake the crust, place a piece of parchment paper into the chilled crust, and pour in some dried beans or pie weights; place onto a baking sheet and bake for 1 hour on the middle rack. -Remove from oven with the baking sheet, and allow to sit for 10 minutes with the parchment/beans still in to keep the bottom flat. 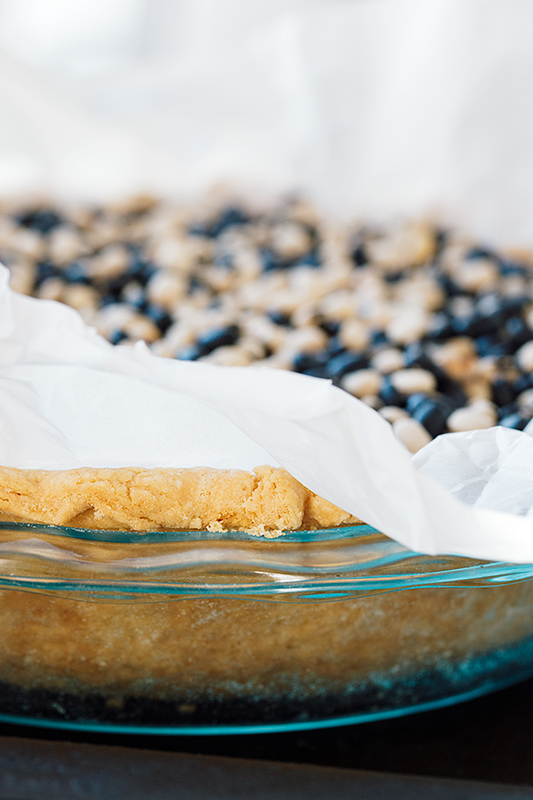 -Carefully remove the parchment and beans, then brush very lightly with the whisked egg white (it will cook to the surface with the residual heat—this will help create a barrier between the filing and crust). -Cool completely before filling, about 40-45 minutes total. -Prepare the filling and bake the pie: into a large bowl add the pumpkin puree along with the remainder of the ingredients up to and including the ground cloves; using a whisk, combine the ingredients until completely smooth and silky. -Add in the cream along with the eggs, and gently whisk those in just until everything is well-blended; take care not to whisk too aggressively, as you do not want to incorporate air into the filling—this will cause it “souffle” up as it cooks, and get cracks. -Pour the filling into the cooled pie crust, and bake on the oven rack in the lower third of the oven for about 55-65 minutes (mine was closer to that 65) or until the sides of the filling are set but the center is still a bit wobbly/jiggly, which is good—it’ll continue to cook as it cools. 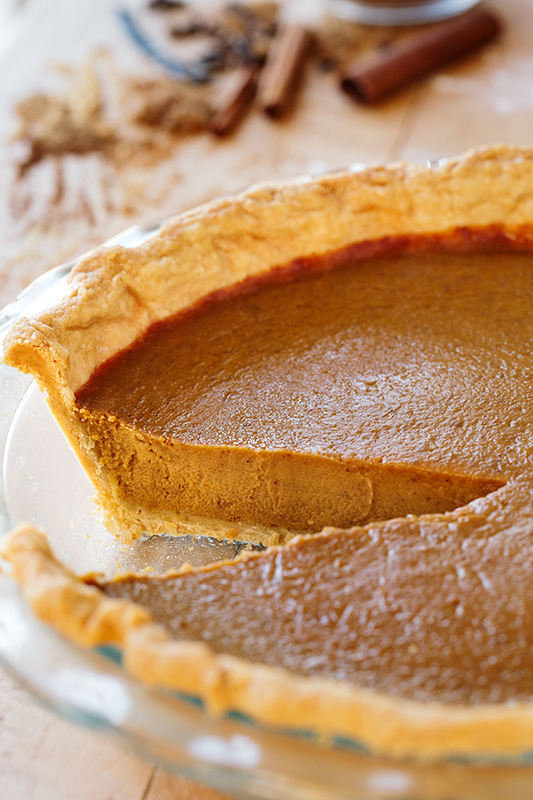 -Allow the pie to cool at room temp completely (for about 5-6 hours) before chilling in the fridge. -Serve cold with whipped cream! 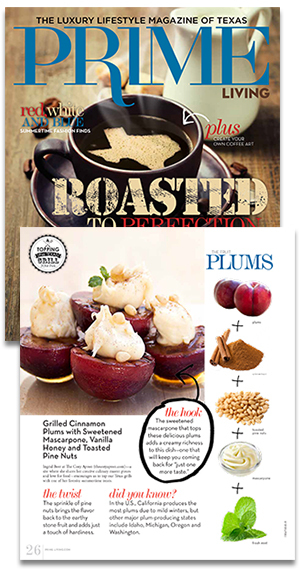 Hungry for more pie recipes? Check out this Apple Cranberry Pie, or these Apple & Pear Hand Pies! Cook’s Note: This post was originally published in 2016, and has been updated with even more love! This brought back fond memories. When my daughters were little I would make fresh pumpkin pies from their Halloween pumpkins. (actually other fresh pumpkins) They thought I used their jack o lanterns. They were sooo good. Hi Sandy, that is too cute! Thank you for sharing! What temp is the pie baked at? Same as crust? Hope I’m not just overlooking this info! Currently in the middle of making this! Thanks!! Hi Anne, yes 350°! We made it clearer in the recipe now, too. Enjoy! Hi, Ingrid ~ this looks lucious! Haven’t had the mental space of late to sit and rsvp to you. Nothing terrible…..just busybusy! I hope you know I have been thinking of all 3 of you, especially during these months of holiday bustle. 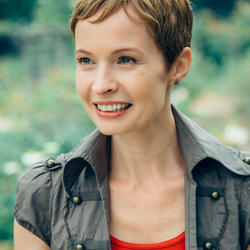 I send love and warm regards, and a promise to write soon. Hi Roseanne, as always, wonderful to hear from you! Please know that you and your precious family have also been in my thoughts so much lately…and with the hub-bub of the holidays, I know all of us are all over the place, mentally (and physically!). May you have a blessed holiday season in case I don’t hear from you until things have calmed down, and may you all be blessed, full of health, and full of joy!